Between Two Ferns: Embattled D.C. Mayor Vincent Gray wants his own Zach Galifianakis interview. Vince Gray looks for two ferns to get between. The headline could be condensed to two words: “Gray Knew.” To be more careful, perhaps “Prosecutors: Gray Knew.” This just four weeks before Gray faces a swarm of rival Democrats in the party primary. 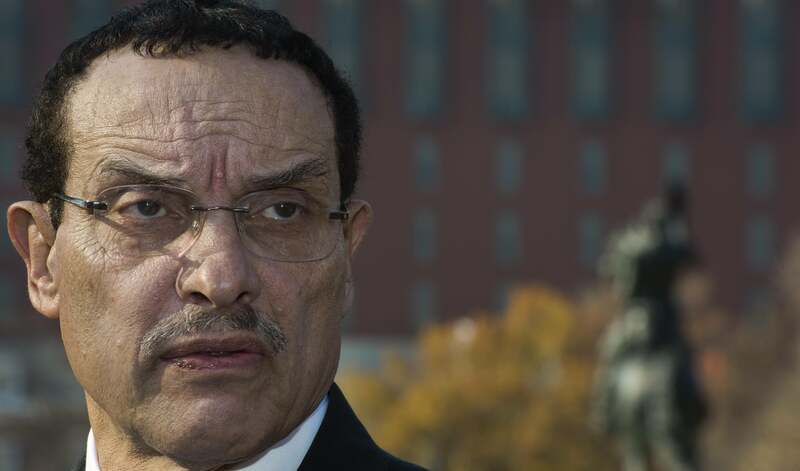 Prosecutors who had spent much of D.C. Mayor Vincent Gray’s term investigating the finances of his 2010 campaign announced that the mayor had known of illegal donations. He was the “Mayoral Candidate A” who appeared in charges against Jeffrey Thompson, a Democratic fundraiser who’d allegedly supplied 28 campaigns with illegal money, and who allegedly was given a business plan to help Gray. The mayor denied this, a day before he was scheduled to give a “state of the city” address. Anyway, that was the context in which Gray’s campaign manager, Chuck Thies, retweeted my sarcastic reference to President Obama’s interview on Funny or Die’s Between Two Ferns. Pretty funny, because it’s pretty true. The Between Two Ferns video, which has distracted much of the Beltway media, is a play from the Richard Nixon Guide to Becoming Likable. Typically, Zach Galifianakis’ interview show is a comedy of awkward manners, in which guests sit and stew as the host asks them insulting questions. (One to Justin Bieber: “You’ve had three hairstyles. What’s next for your career?”) The Obama video gives the president a head start on the comedian; he has zingers at the ready when Galifianakis gets too insulting. Every politician would want this treatment.